In our soon-to-be-released study, “Hidden Influences: Revealing the unspoken perceptions that prospective students have about your college and why it matters in your ability to grow and control enrollment,” we asked over 18,000 college-bound students whether they felt the colleges they considered were more focused on understanding their needs and preferences or more focused on presenting information about their institutions. 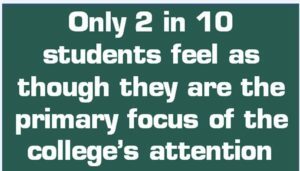 Only 20% of students felt that colleges placed the focus on them. This feeling was shared by students bound for both public and private institutions. What difference does this make in college selection? A big one. Colleges that adopt a student-centric focus differentiate themselves within the college market and reap the benefits. The fact is, there is a positive correlation between likelihood of enrollment and the level of focus a college puts on a prospective student. There is more good news, too. You can take the first step today to immediately enable richer, more fruitful conversations with the students you are trying to recruit. First Step: Explore every facet of the student’s preferences. All too often, in interactions between colleges and the students they are trying to recruit (through personal meetings, email exchanges, phone conversations, texts or any of the other ways students and counselors connect) colleges are doing almost all of the talking. 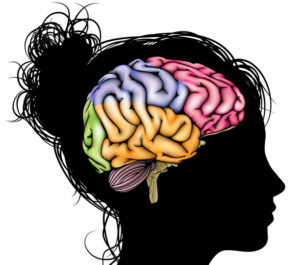 Often overlooked is the student’s unique combination of interests, preferences, desires, anxieties and aspirations. Colleges with smaller pools have the luxury of communicating personally with most, if not all, of their prospective students to probe and understand the uniqueness of an individual and presenting their value based on what the student perceives as being valuable. When you shift your focus to the student you will better serve them and more effectively communicate your unique value proposition. 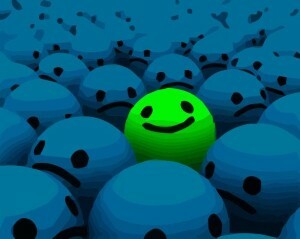 When the student perceives you as unique among their options you will have reached the coveted state of differentiation. Aligning your institution’s value to a student’s specific needs and desires breaks through barriers and creates real excitement for your college that will translate into enrollment. In a previous higher education study, “Your Value Proposition: How students and parents perceive value and select colleges,” we learned that a student’s excitement about attending a college is more strongly correlated to likelihood of enrollment (by a factor of two) than either cost or the perceived quality of the institution. Employ proven strategies for best results. 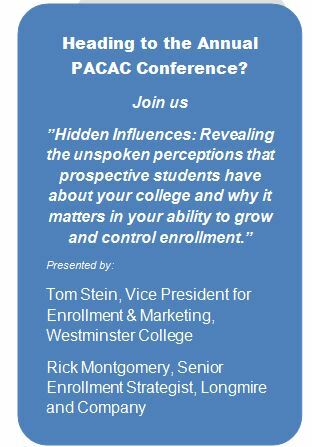 The Hidden Influences study revealed actionable information that colleges can use to uncover and manage the perceptions and opinions that prospective students have about their college and the other colleges they considered. 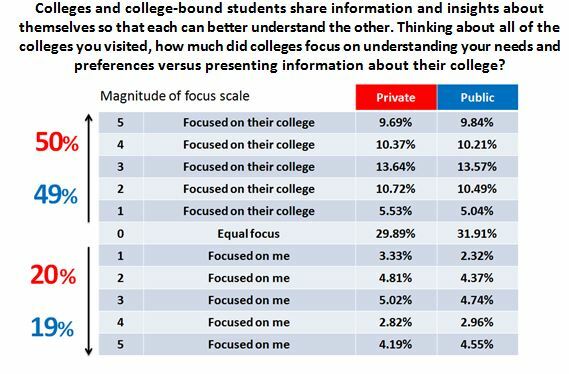 In the study, students suggested specific strategies that colleges can use to uncover and understand their true feelings about the colleges they are considering. In upcoming blog posts we’ll dive deeper into those strategies and how they can be employed, regardless of the size of your pool. We are preparing to launch our next study! Each year our national co-sponsored studies attract even more colleges that want to “get in” on the new and different insight we give them about their prospective students and students nationwide. If you’d like information about the topic of our next study, and the benefits you receive as a co-sponsor, be sure to CLICK HERE now to be alerted soon when put together our next group of co-sponsors. You can also CLICK HERE to receive an advance copy of the Hidden Influence study report prior to its national release.